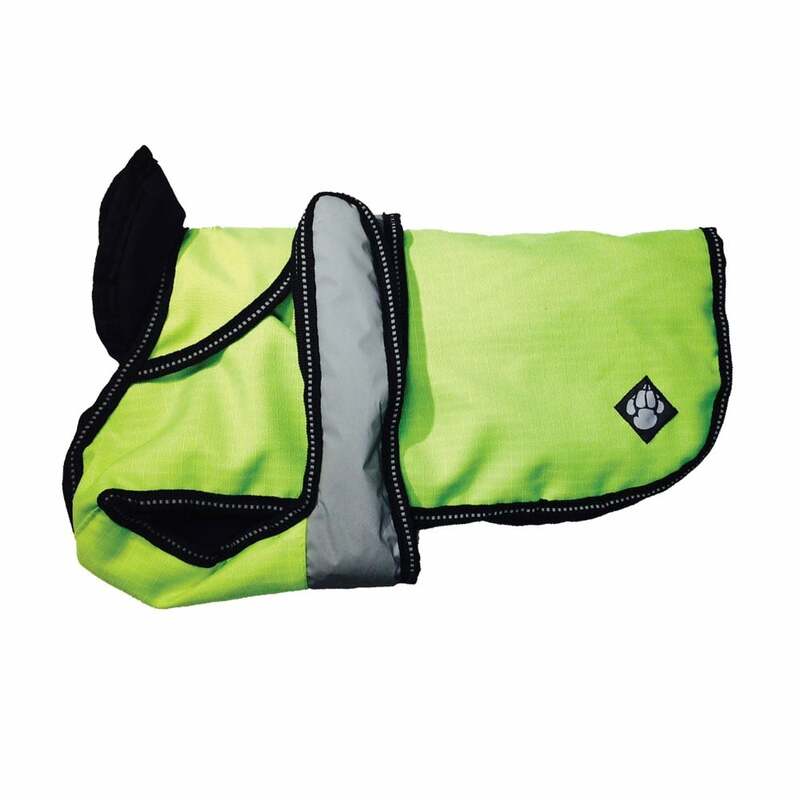 The Danish Design Hi-Vis 2-in-1 Four Seasons Dog Coat is a brilliant convertible rain coat for your dog. The outer rug is made from waterproof, windproof and breathable fabric to keep your dog dry and visible, and can be worn alone in the summer months. The removable polar fleece lining can then be added for the cold winter months to ensure your dog stays comfortable whatever the weather. The bright fluorescent yellow hi-vis fabric along with light reflective beading and light reflective fastening strap ensures extra safety in poor light conditions making it perfect for cold, dark nights. This dog coat goes on over your dogs head with the strap going under the chest and fastening around the dogs back with leg straps at the back to help keep your dog rug firmly in place.